Anonymous Hacker Group Helps Take Down Insupportable Websites ! Hacker group Anonymous takes down websites across the world for the greater good: peace, freedom of information and solidarity. Anonymous, which began as a movement in 2003 on a series of internet chat boards, has gone from targeting small time hypocrites to large multinational corporations bringing it from the background of hacker culture to the forefront of global politics. During the uprisings in Tunisia and Egypt, Anonymous took down the government websites and continue to this day to help both movements. In Egypt, Tunsian hackers helped take down government websites because of the censorship which Mubarak’s regime was notoriously known for. “[Anonymous] takes down security barriers of Web sites so that people can enter and occupy the site and post their message to the Egyptian government,”… “So they know this Web site is ours now, and they can’t block freedom of expression.” reported Rawstory.com. Anonymous is showing us that the powerful media, from large corporations to government owned websites are all vulnerable to the will of the people for peace and justice. Since their explosion onto the scene, Anonymous has continued to play a significant role, albeit largely though morale increasing actions, in the day to day affairs of global politics. Recently, they shut down the website of Americans for Prosperity, the political PAC funded by the infamous Koch Brothers in support of striking workers in Wisconsin during what they called Operation KochBlock (yes, pronounced the dirty way). 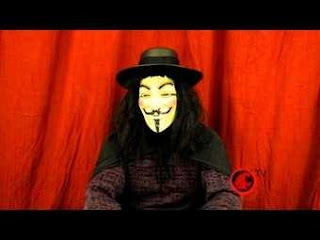 During a guest spot on the February 24th broadcast of the David Packman show, an internationally syndicated show, a member of Anonymous comically took down the website of the Westboro Baptist Church (WBC - godhatesfags.com) after the other guest, WBC member Shirley Phelps-Roper stated that Anonymous could not stop them because God was protecting them. This occurred after WBC claimed to have received a threat from Anonymous, something that was not substantiated by any section of the community. This site still remains down. Of greatest importance was the recent raid on the servers of HBGary, a net security contractor that operates and serves the federal government. 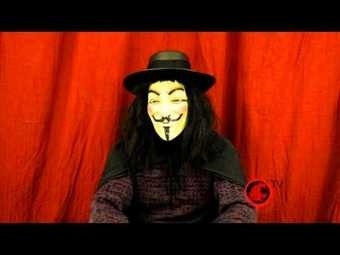 HBGary claimed to have an inside to the leadership of Anonymous, and publicly stated that they could take down the organization. The community responded by unceremoniously raiding the company’s mail server via an old phishing trick, downloading over endless amounts of data and releasing fifty thousand emails between employees and executives of HBGary, other businesses, military contractors, and state officials. The fallout of this raid is still coming down as the CEO has already resigned and a push to prosecute the company continues to gain momentum. Anonymous continues many operations in various locations all at the behest of members who are willing to take action on each particular operation. A simple visit to the main news website for Anonymous reveals a plethora of different operations that are not publicized, swimming in an ocean of hundreds of press releases. These operations often use comedic names such as Titstorm, the aforementioned Kochblock, Sockmonkey, and others. Some operations take a more serious tone such as those mentioned above, but all are done with a slight taste of humor. Though reading several press releases clearly shows the diversity of discussion regarding the community’s future, it is clear that they all want to continue it’s existence. Some members regard the community’s recent actions as too political, citing the original motives were to hack for the lulz (laughs) or merely the sake of it, without any particular set of political goals, other than promoting free access to information. Though the media would have you think otherwise, Anonymous is not really a centralized organization. It does not have a clear and public leadership by any means, and exists almost completely as a free and open community online. There are some staffers that run and maintain the sites, but the goals of the community are determined directly by the community itself – and on their own volition. This community exemplifies political expression in the era of ever evolving technology, and demonstrates the power that is ours to have if we have the ambition to grasp it. Anonymous clearly demonstrates how fighting for freedom of speech is at the core of all struggles for social justice – as the first thing governments destroy is our right to share our thoughts and ideas in open discussion. Operating on a series of different websites, the Anonymous network is nearly impossible to stop, much less slow down. Anonymous operates as a sort of hive mind, but not a unified one. There are some clear camps inside the community, but it operates almost completely on a horizontal playing field, without hierarchical structures that dictate or even decide goals of the community. The attacks anonymous have carried out rely on having large numbers of people involved in the operation in order to work, further limiting the possibilities of certain hacktivists from falling into defacto leadership roles. While some of the bigger operations require greater expertise, most of the daily operations conducted by Anonymous are based on the size of the community involved. The technological infrastructure built by this community says a great deal about the power everyday people can wield if they decide to reach for it in a collective fashion. It demonstrates the evolution of thought regarding the construction of human community, now filtered by digital interactions. Anonymous takes the mysteries behind groups like Wikileaks to the next step, breaking with any concept of formal hierarchy, avoiding the attacks perpetrated against Julian Assange. But, the group is not invincible. In a few cases, for instance in Operation Payback, arrests were made that were allegedly connected to these operations. While Wikileaks and Assange have been able to mobilize an effective support campaign, similar efforts have yet to be realized in cases related to Anonymous. If the hacktivists can remain anonymous, however, it is likely that the snowball will continue to roll downhill and continue to expand its impact on political, social, and technological culture. To any kid who grew up and nerdily obsessing over the coolest new “3d game”, who spent hours upon hours learning code by writing it, or have seen the cult movie Hackers far to many times – and still use the references in daily discussion – this moment in history is a dream. Anarchists who value freedom of information and group order, Socialists who yearn for decentralization, and Libertarians who praise Syndicalism should welcome Anonymous with open arms. Trans and post humanists who see a brighter future through the use of technology are witnessing the evolution of people/mind power to bring peace and justice to a world in which capitalism and greed have ruined. We are seeing the use of technology for the greater good as predicted by a number of rogue futurists right now before our eyes.